Exactly what it says my witterings. Just thought I would stop by for a quick hello and update of what is going on around here. In a matter of days I am taking part in a Blog Tour for Spring Skies over Bluebell Castle. When Lucie Kennington flees the bright lights of London for the quiet Derbyshire countryside, she’s shocked to discover that the heir to the Bluebell Castle estate is far from the wizened employer she expected. In fact, Arthur Ludworth might just be the most handsome man Lucie’s ever laid eyes on – and a terrible distraction! So when she stumbles across a legendary painting feared lost for centuries, she can’t believe her luck – perhaps this is the hidden treasure to save Arthur and his family from ruin? In more reading news and a very different change from Sarah Bennett’s book I have stepped back in time to the days of the Bow Street Runners and Highwaymen. You will have to wait until May for this one though. The year is 1759 and London is shrouded in a cloak of fear. With the constables at the mercy of highwaymen, it’s a perilous time to work the already dangerous streets of Soho. Lizzie Hardwicke makes her living as a prostitute, somewhat protected from the fray as one of Mrs Farley’s girls. But then one of her wealthy customers is found brutally murdered… and Lizzie was the last person to see him alive. Constable William Davenport has no hard evidence against Lizzie but his presence and questions make life increasingly difficult. Desperate to be rid of him and prove her innocence Lizzie turns amateur detective, determined to find the true killer, whatever the cost. Also if you have not caught these on my blog yet – do go and check them out. Worth a read I promise. Published on 29 March – This week!!! So that was a quick round up of the books that have been read in recent weeks but what else have I been doing…. Perhaps more about these two journeys on another post. A while since I have written anything on this blog other than book reviews, which I am sure is what you really do stop by for! Hopefully when the mood strikes, I may well pop back and talk more about other things in life but in the meanwhile it is still books. I read The Little Cafe at the End of the Pier at the beginning of January – but my original post title and cover was called A Year at the Cafe at the End of the Pier which when I requested it from Netgalley was the original title. So all updated. I was also sent this lovely personalised quote card from Hodder & Stoughton to promote The Single Ladies of the Jacaranda Retirement Village by Joanna Nell. And with some excitement here is the cover of Heidi Swain’s new novel. This should give me at least chance to read the only Heidi Swain novel I have yet to read and then I will be ready! 109 Books Read – My challenge completed in November, which I am sure is a first! The shortest book was 34 pages. The longest book was 738 pages. In total of the 109 books that is 35,040 pages equal to 671 pages per week or 95 pages per day. In terms of physical books and ebooks – this year the kindle overtook at 78 books and I know this is down to the wonder that is netgalley which is giving me the opportunity to read so many books before they are published or just as they are in return for a review. New for 2018 was re-read and this was one book – The Guernsey Literary and Potato Peel Society a wonderful book which I wanted to remind myself of as I was looking forward to seeing the film. Never mind the statistics what of the actual books – oh gosh well here it goes I suppose. CeCe feeling rejected, unwanted and definitely unloved begins her travels to Australia with the only clue that her adoptive father has left her the name of a woman pioneer and an old black and white photograph. Two things that seemingly have no links to each other let alone CeCe. 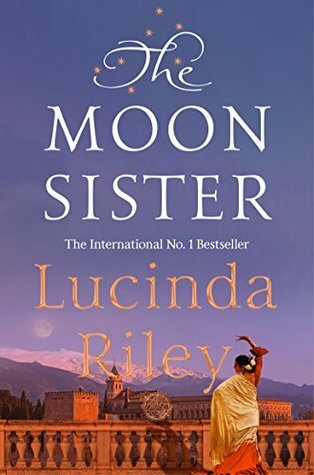 But this is a Lucinda Riley book and there is a link and a wonderful and beautiful story to tell. The author, transported me back to this place, the darkness of the caves, the problems that the gitanos faced being on the outer edges of the city, of society, of religion, of what was considered normal behaviour. But showed a community brought together by all that makes them different, the culture, the music and of course the dance. Words are lyrical, they can take you somewhere, they can form pictures in your imagination. But in this book, the description of the flamenco dancing and the music, but the flamenco especially, just resonates off the page. You can feel the vibrations of the feet, as they stamp and form, as the beat increases, as the arms move in almost synchronicity to the feet, as the dress is moved in time to the music and as the appreciative audience are held spellbound by such a display. 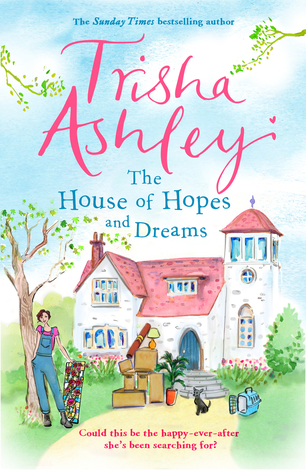 I enjoy Phillipa Ashley’s novels, she writes with such warmth, that it feels that I am transported to wherever she wants to take me and I become part of the story which is why I can read her books so quickly. The only downside being I then have to wait ages for the next one! I either need to read slower or Phillipa needs to write quicker! A warm fuzzy novel that leaves you wanting more and as Christie Barlow writes more her storylines go from strength to strength. You will not be disappointed. 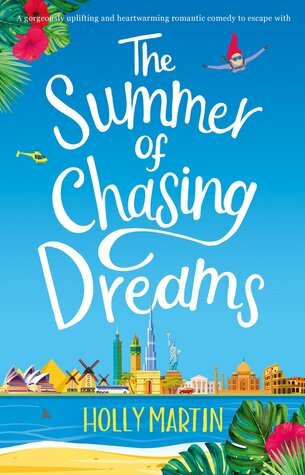 Yet again Sarah Bennett delivers a story which has you falling in love not just with the gorgeous Jack but the setting as well. I wanted to walk along the promenade at the bay as well as delight in the smell of the lavender that I am convinced was seeping off the pages. I could see it coming and this is no reflection on Cathy Bramley’s writing or plotting. The book is well written and you could see that the author has reflected on all the characters and the effect the tragedy would have on them. This was not simply about one person’s issues and the rest of the characters faded into the background you got the full effect and you almost had to decide what you would perhaps do in that situation? This is the final book in the series of the Little Cottage on the Hill. I would heartily recommend reading all of them in order (my OCD kicking in) because that way you’ll understand the draw of Joy’s Acre, as well as experience such strong writing and characterisation. Thank you Holly for the joy you bring in your writing. Heidi Swain in my opinion has done it again in drawing you into a story which of course has a romantic plot line but has so much else going on as well. She manages to make sure all the characters are well-rounded and have depth, even if they are minor and I am as much intrigued by Dorothy and Molly as I was delighted to be able to catch up with Anna and Jamie. I have picked these authors because I know I will come back to them time and time again – there are some more authors who I read a number of their books during 2018 but whilst they were pleasant diversions realistically sometimes you have to stick to your favourites. Maybe I will come back to them in years to come – who knows? This book has everything you might want in a book, romance, death, big houses, dogs, cake, quirky characters, history and laughs. Not sure you could ask for more really? A favourite of mine for 2018 and it’s only February, I could in fact go back to the beginning and read the whole thing again! A heartwarming novel which shows you the strength of love, the choices you make and the place that you should always call home. What more of a recipe do you need to read this book? I cannot say that these novels have becoming formulaic or boring, the author somehow injects different plot devices into them just to keep us readers on our toes and also covers some of the more less publicised aspects of the Second World War. I am intrigued as to where the author will go next. This series of novels has really captured me and it is a long time since I have read any decent sagas which I want to return to and continue the story. I envy anyone who picks up the first of these novels – they have such joy to come. I personally think the last couple of years my reading has been dominated by women’s fiction and whilst I may not be reading the books every critic or newspaper column thinks I should be reading – I have read simply what I have wanted to. Do you know what? I have loved every page of it. Of course there have been some books which did not really do it for me and whilst I persevered with some I did give up a few others. I really believe in passing on a book and know that some books work for some and others don’t. 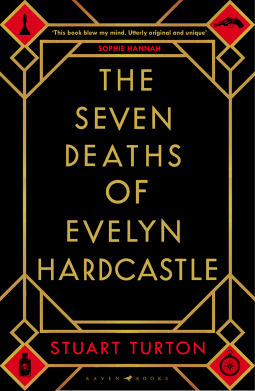 Interestingly The Seven Deaths of Evelyn Hardcastle – Stuart Turton features on many favourites – I could not get on with it. I persevered because the book is clever, the concept of seeing something happen again and again but in the guise of someone else is intriguing. The twist of being able to stop it to save yourself gives it another added layer. But I wonder whether this book was simply too clever for me? I think it might have been. It had all the right elements I like in novels, a cast of characters both masters and servants, a big house, set in the past, a mystery, a twist but it whilst it held my attention enough to keep me reading I was left feeling rather flat at the end. Others disliked Dear Mrs Bird – AJ Pearce which I adored. 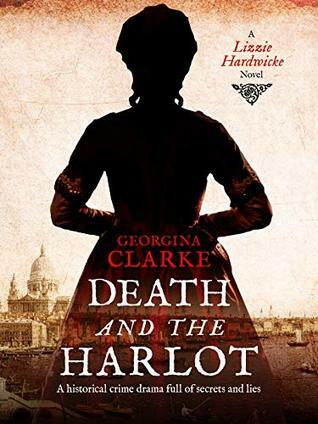 This is a wonderful novel which transports you into the heart of Emmeline’s life, into the heart of London, into the reality that is war on the Home Front. 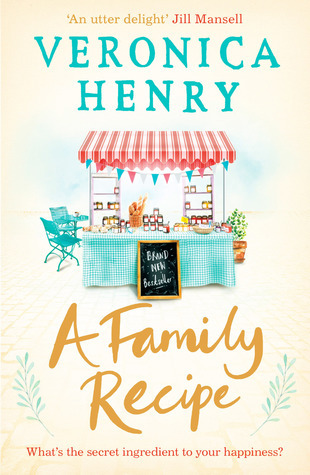 Not afraid to tackle subjects either through the letters that are written in to Mrs Bird or the main storyline of the book, this debut author captured my heart and attention immediately and I was completely drawn into the story. Who else should get a mention, Jenny Colgan, Lesley Kara, Adam Kay, Carole Matthews, Lily Graham, Ruth Jones and Gail Honeyman. So that was 2018 and I did not sign up for any specific challenges in 2018 other than wanting to read 100 books and at least 4 Agatha Christie. 1 out of 2 is not bad! It was 3 for the Christie and I will certainly try for another 4 this year. Other than the obvious 100 books I will take the year and my reading as it comes! What a month August has been – I have been away on my first cruise to Norway and had a lovely three week break from work and of course read some wonderful (and not so) books. So where to start – with the not so books I think. Kim Barnes – In the Kingdom of Men has been sat on my shelf for a very long time and I decided in a bid to read some on my shelf to pick this one up. Set in the lates 1960s, around the oil industry between America and the Arabs it was a very claustrophobic novel which really did not come to much until the last thirty pages or so of the book. I have read it and passed it on. Someone else might get more from it than me. When I picked the latest Nicky Pellegrino – A Year at Hotel Gondola I knew what I was expecting to get, sadly I was disappointed with the strnegth of character but I was transported away to Italy and Venice, so there was some good to be had. Carol Wyer – Take a Chance on Me was another book that had been sitting on my netgalley shelf for a long time and I thought again it was about time I made room on their too! A book that you could read when you needed something that did not hold your attention, I have read better. I took a chance on Lesley Eames – The Silver Ladies of London when I spotted it. A lovely historical saga with four female protagonists with different backgrounds finding themselves in London, no where to live, no job and only a Roll Royce. What more could a girl want in the 1920s. A great saga and I will look out for more by this author. Sometimes when you are reading, all you want to go back to is what you know and love which is why I have picked up authors I know I am going to get a great story from. I am keeping up with this series, thanks in part to netgalley but also because I am so involved with the characters which is why I couldn’t wait to read Nancy Revell – Victory for the Shipyard Girls – when it appeared on netgalley. Forget soap operas – this series is much better. I am lucky to get access to current releases early thanks to netgalley and some I read straight away and some I hold to and read at another time – don’t ask me what the logic is I don’t know myself. Anyway I caught up with last years Christie Barlow release and thought let’s just dive into this years so I did with Christie Barlow – A Home at Honeysuckle Farm which takes you from New York to a small village from losing your dreams to finding them again. And this is a book to get you in the mood for the upcoming series of Strictly! Julie Caplin – The Little Brooklyn Bakery – last time I went to Copenhagen this time it is Brooklyn. THat is the beauty of reading it can transport you anywhere! This is the second in the series of books and I thik much better than the first. I have the third to read and I cannot wait to be transported away again. Binge is very much a word of recent times – Binge Eating and Binge Watching spring to mind – then there is Binge Reading. I know I probably don’t really qualify for the amateurs even when it comes to Binge Reading, but when I discover an author and a particular story I am sometimes hooked that I have to read the next one in the series. 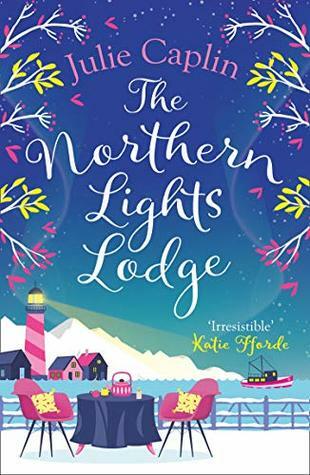 Which is why I was going to take Emma Davies – The Little Cottage on the Hill on holiday with me but then I started reading it and was hooked so went straight into Emma Davies – Summer at The Little Cottage on the Hill before I had even thought about packing! I have just downloaded the third in the series and preordered the fourth! Looking at my lists, it seems that I only have one Heidi Swain to catch up on, which oddly enough is her first novel. I will get to that I promise but in the meantime I could not help delving into Heidi Swain – Sunshine and Sweet Peas in Nightingale Square which moves away (but close) to the lovely Wynbridge and all its characters. But no fear I was back there in her Christmas (yes I said the word) Heidi Swain – Snowflakes and Cinnamon Swirls at the Winter Wonderland though you will have to wait a while for the review for this one! 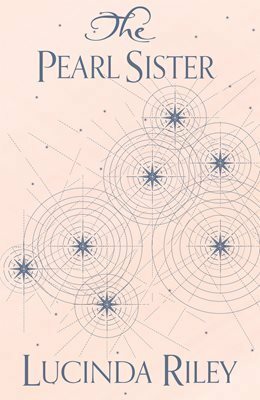 And finally I come to Lucinda Riley – The Pearl Sister. You could say I have saved the best for last and whilst that is partly true it is more to do with the fact that I have had this book for a year and it is by my bed sat being unread – it is almost as if I do read it the magic of the anticipation of the novel goes away. How daft, thinks me so I got on and read it in August – it is a mighty tome to read and not very conducive to lying down in bed but easy enough for sitting in the shade while the heat was baring down. It is everything I anticipated and more and now having the next one in the series, I am not making the same mistake – I started it straight away when it arrived. So that was my August, some mighty fine reading and I am motoring through books, not sure why but there you go. Too hot perhaps to do anything else these last two months. So as we turn to Autumn I feel the Christmas reads will be on me soon and I will be dreaming about the days of Summer and all the lovely places I have been. How was your August? What are you looking forward to in September? First of all a very big THANK YOU to everyone who joined in. We might be a select bunch but I hope those that have just read our posts are inspired by some more in their reading, to all the new blog followers, watchers and readers it has been great to discover your little piece of the internet. Here is a list of everyone that joined in this year. If I have missed you off or you know someone who took part but failed to link back to me, then let me know and I can add. We might be a small bunch but it is slowly growing but one thing is for sure – we certainly like to read! It is always great to see some of the same books come up as well, it means they might be worth a try! Happy reading and discovering folks! I know some of you like to reuse this meme at the end of the year for the last 6 months of 2018 reading, please feel free but I would be grateful for a link back. Happy reading for the next 6 months. So there went June in a blaze of heat and potential glory for football depending on your outlook – mine being a non football one! I am rather chuffed with the reading I have done in the last month, even six months that of course means July is the time to post our Six in Six – I do hope you can join me and please spread the word so we can get a few more this year! So let me get on with what I have read……. Lily Graham – The Island Villa was a different read from her previous novels but it was really good and took me away, abroad without having to set foot on a plane! A proper summer read. Talking of Summer you can’t beat a bit of gossip so why not indulge in Kat French – A Summer Scandal about an abandoned pier which is brought back to life by its new owner – but it will not be all kiss me quick hats and candy floss! 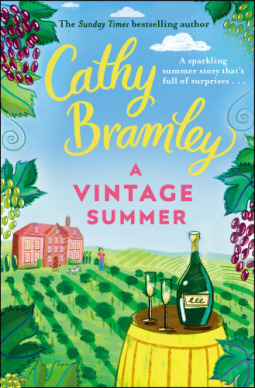 Catching up on authors previous work and not wanting to read parts of stories – led be to hold on and read the whole of Cathy Bramley – The Lemon Tree Cafe she is fast becoming a favourite author and I think now is the time to publish her stories as a whole from the start! I caught up with the lovely saga of Nancy Revell – Shipyard Girls in Love and I am thrilled to learn that there is more to come in this series of books. Yet again the kindle was used considerably in June – damn that netgalley I say but I make a concerted effort to read actual books, because I do love holding them – which is why I went to Jenny Colgan – The Summer Seaside Kitchen bought on a whim because I had actually bought the second in this series – I hate to read things out-of-order. Which led me to discover Jenny Colgan – A Very Distant Shore a QuickReads novel with the characters I had grown to love in the first book – which led me to immediately picking up the second and reading it as June finishes and then to be delighted to hear that there will be a Christmas one too! I love to be able to consume books like this and get lost in another place. A.J. 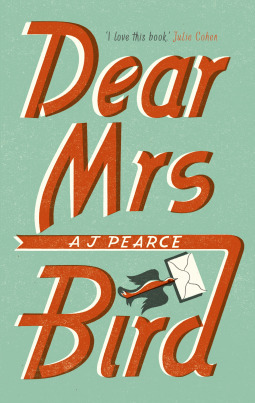 Pearce – Dear Mrs Bird had been in the press and across social media and not wanting to miss out, I purchased the hardcover copy of this. What a wonderful gem of a book which will take a place on my shelf and without a doubt be reread. There is something so gentle about this book which is caught up in the middle of the bombing in London during the Second World War. I went back to the First World War with Rosie Meddon – The Housekeeper’s Daughter. An author I do not know and whilst the book was not particularly strong it did hold some intrigue and picked up but I am not sure if I would read the next book. There are a lot of books I have waiting to be read. One that had been sitting around for a while was Hazel Gaynor – The Cottingley Secret. I had read a previous novel by this author and was enchanted. I was bound to be with this one – it contains fairies of course. I knew of the story but this fictionalised it and perhaps makes you think. That was June, over my target in terms of books read for my 2018 goal – and enjoying the football because that means more reading as nothing on the TV! It also means less knitting – too hot! So I have brought it back for another year– the meme that if you only do one in the year, then this is the one to do. It’s normally the meme I can only manage to do. When did all this begin? I started it in 2012 on a whim and it has been going ever since! If you want to look back at the previous six years and get a flavour then please do. The idea being that as the end of June approaches and we are then halfway through the year, let us share the books we have read in those first 6 months. In fact let’s share 6 books in 6 categories, or if time is of the essence then simply share just 6 books. Whatever combination works for you as long as it involves 6 books. Of course the same book can obviously feature in more than one category. What categories can I choose from? I have again added a few new ones this year. What do I need to post? Simply choose six of the categories above and list six books under that category. Some bloggers use pictures, some put excerpts of reviews. The main thing being it is six categories and six books. Of course if you want to do a shorter version, then just post something about six books you have read in the first six months of 2018. Please link back to this post and/or my blog and share this post so we can have lots of people joining in. All those that participate I will endeavour to collate into one post. Anytime in July. We have reading days left of June and that book might well fit nicely into one of the categories. Please spread the word and get people to join in and let them know that we are all halfway through our 2018 reading year!